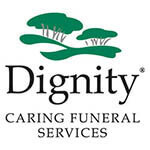 Complete our simple form and compare 100s of funeral plans from UK's leading funeral providers. Get a Free Quote with No Obligation to Buy. You are too young to apply for a funeral plan, however a life insurance plan can offer similar benefits such as providing a lump sum for your family. Do you wish to receive a life insurance quote instead? Complete our simple form to find the best possible quotes. 19.1This website is owned and operated by QuoteFish. We take data protection and your privacy very seriously at QuoteFish. Here's how we handle your information. This privacy notice aims to give you information on how QuoteFish collects and processes your personal data through your use of this website, including any data you may provide when you submit our online contact form. QuoteFish is the data controller and responsible for your personal data (collectively referred to as “QuoteFish”, “quotefish.co.uk”, “we”, “us” or “our” in this privacy notice. If you wish to exercise any of the rights set out above, please contact [info@quotefish.co.uk] for further details. To exercise all relevant rights, queries or complaints, please contact us at [info@quotefish.co.uk] to discuss your concerns. We are a UK based service and we direct people to our experts whose aim is to find you the right insurance quote by taking your requirements into consideration and comparing some of the leading UK insurers. Our whole service is free, and you are under no obligation to accept the quotes you receive. Specialist experts are waiting to help you – all you need to do is fill in our easy form, and they will contact you as soon as possible. Sometimes within a few minutes! Choose your product and fill out our simple form to get a free quote! Simply complete our simple quotation form for a quote or to speak to an expert. If you have any questions regarding our website then please feel free to drop us an email at info@quotefish.co.uk, we look forward to hearing from you.